Yes, this is a vocal piece – sprinkled with a little despair and frustration about where we are heading, what it all means, and what fabric is weaving around us in this, our one and only life, and for that, the future for our precious children. I will come out and say it. Women are fighting a battle on so many fronts that the moment you think you have one adversary met and negotiated, along comes another, from the side, like a velociraptor waiting in the bushes in that Jurassic something or other. Open sexism, bring it on. Blatant discrimination by reason of our vaginas, the sisters are working on it. But Capitalist Equality, laid bare in two stories this week? First, Hip Hip Hooray: Daughters of mothers who “work” (STOP, newsflash – as Esther Parry says: all mothers work) earn 4% more than their counterparts whose mothers were not employed and have more “equal” relationships. Second, the European Union criticises Britain, in the name of “gender equality”, for having too many stay at home mothers. As it turns out, Brussels would have Mothers at Home Matter change its name to Mothers at Home are a Problem. Its been a long week, so I promise to keep it short. Putting the money to one side, where is the number one on my list for my daughter, namely, her wellbeing? Oh, yes, somewhere over there in the study which suggested that stay at home mothers feel they have more worthwhile lives. My mother worked full time. For ten years I proved the study right: I earned a good salary until I gave up my job to care for my children. When was I happiest? When was I living the life I had always wanted? When was I truly fulfilled? When my salary disappeared and love, in the form of two wonderful little people, came into my life. Where is the joy? Erm, there in the time of the day when the daughter isn’t in the bloody office, but doing something she loves, whatever that may be, … but remember – she’s earning a bit more than her sister. One heck of a well-earned latte per week. Where is the adjustment for the fact that women’s retirement age has increased exponentially in recent years – from 60 to, well, never, when WE get there. So without a short period of time out to care for our children if we wish to (and we wish to, people, we really do – millions of us) we are working a significantly greater period than our mothers; and if we do take a short period of time out, we are STILL going to be working a significantly greater length of time than our mothers. Continuous workforce participation. What a victory. Where is the reflection of the validity and value of care in society? The recognition of the value of unpaid work: whether it be the unpaid care of a child, a poorly relative, or an elderly parent; or voluntary work in the community, undertaken by a women in their droves, for no thanks, let alone money. Ignored – buried by their perceived uselessness in the Church of GDP. As Global Women’s Strike has asserted for decades: all women count – but not when the system is a male-created, capitalist and ruthless one with no room for richness, beauty, care, love, nurture, dependency, interdependency and “unproductive work” (hint: anything traditionally undertaken by a woman). I mentioned Stockholm Syndrome in my title because the more I write on this subject, and the more I read, research and communicate with people, fellow parents, political parties and activists, the more I see the prison. In a capitalist, neoliberal (translate: everyone for themselves, trample on the weak, money is the master, sink or swim) society, what many a professed feminist might well conclude, subconsciously or otherwise, is that we must play the game. We must disavow the desire of many women to care for their children. 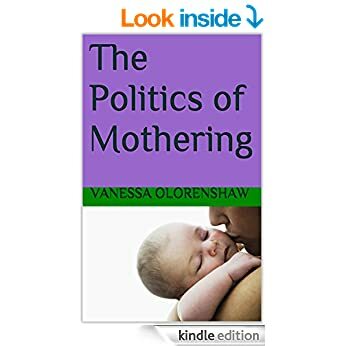 We must devalue her work of mothering, from breastfeeding, to nurturing, to carrying, to kissing, to loving and all the unremarkable little, repetitive, acts of home life nobody notices. We must replace the oppressive old gender contract of “all mothers must stay at home” with “all mothers must be in employment and compete in a game created and ruled by men”. We must disavow difference amongst and between individuals, we must celebrate the commodification (and denigrate the provision of maternal) care. Cynically, though, I wonder whether it has occurred to those vociferously promoting blind gender equality as some kind of miracle cure for pay gap, poverty and the rest that it suits a capitalist system for all to be forced into employment, despite the mismatch between available jobs and those forced to get a job. Wages can be kept low, the workforce kept insecure, and competition for each job kept high. It suits a capitalist system which ignores any value in the work many women already do in the raising of their children and feeding of their families. It obeys the rules that we may not seek fundamental changes in the way we order our lives, the way we reward our citizens for the contribution they make to our society – whether by way of a universal income or wages for care, or redistribution of working hours by maximum working hours per citizen (see this brilliant post by Renegade Feminist). It risks forgetting the object of feminist reform (to improve the lives, not just the bank balance, of the female citizen) and becoming an end in itself. It conforms to the expectation that women may rock the boat, but they may not make a new one.